Today’s NaNo survival song is an exquisite ballad version of Kylie Minogue’s “I Believe In You.” I’m dedicating it to my wonderful, supportive, super-talented writing buddies, Pintip Dunn and Kim MacCarron. Love you guys! Writing-wise, I’ve put down 3,386 words in two days. Only 47,717 words to go! Visit this Rafflecopter link for a chance to win! Cover Reveal: Seize Today by Pintip Dunn! Check out the brand-new cover of Pintip Dunn’s SEIZE TODAY, Book 3 in the FORGET TOMORROW series! A big thank you to YA Books Central for revealing the cover of Seize Today! Finally, a new blog post! Thank you to everyone who entered my Goodreads November giveaway! Ten paperback copies of my novella, LIVE FAST, DIE YOUNG, are now on their way to ten lucky winners across the U.S. Congrats, everyone! Some lovely reviews of the novella have come in recently. It’s always amazing and humbling to hear that people are taking time out to read my work. Soren from Ripley’s Booklist said it had “A nice blend of humor and emotion, with a realistic teen voice.” And Sabina on Goodreads said she “cried a lot,” which, believe, me is a huge compliment! I cried when I wrote this story too because I adore my poor tortured characters. Check out more reviews on my website. Soooo, December, huh? This year went by in a flash. One of the highlights of 2016 for me was going to the U.S. for the RWA conference in San Diego, where I saw my two critique partners win the highest honours in romance writing — Pintip Dunn nabbed the RITA for Best First Book and Kim MacCarron earned a Golden Heart Award for Best Inspirational Romance manuscript. Golden Heart winner and fellow Aussie Gabrielle Luthy and I trotted off to a cat cafe and got our feline fix. We giggled over buying American laundry “souvenirs” from a supermarket — a magical wrinkle eraser and a Tide spot-stain remover. #ohtheglamour. Kim and Pintip – winnahs! My agent and I were treated to an impromptu dolphin show while we had lunch by the water. Apparently, dolphins are enlisted by the navy for mine detection among other things. In Nashville, I saw my favourite band of all time, Duran Duran. (Actually, I almost missed them because my plane was delayed first by a janitorial issue and then storm activity.) Nile Rodgers and Chic were the support act. OMG – gobsmackingly good. DD and Nile performed a tribute to David Bowie, blending ‘Planet Earth’ with ‘Space Oddity’. Spare a thought (or ‘Save a Prayer’) for DD, who’ve just lost a high court battle for the rights to their early works. Read about it here. Heartbreaking stuff. In the meantime, I urge you to listen to and download their later works, like the albums ‘All You Need Is Now’ (I made a tiny reference to it in my novella) and ‘Paper Gods’. Duran Duran’s Simon Le Bon in Nashville. In more heartbreaking news, my 17-year-old cat, Possum, has been diagnosed with an inoperable tumour. We don’t know how much time we’ve got together, but we’re making the most of it. She’s pretty much glued to my lap, “helping” me write as always! How about you? Was 2016 a good, bad or meh year for you? I am so excited to share with you the cover reveal for BEFORE TOMORROW by Pintip Dunn, a FORGET TOMORROW novella from Logan’s POV! In a world where all seventeen-year-olds receive a memory from their future selves, Logan Russell’s vision is exactly as he expects—and exactly not. He sees himself achieving his greatest wish of becoming a gold-star swimmer, but strangely enough, the vision also shows him locking eyes with a girl from his past, Callie Stone, and experiencing an overwhelming sense of love and belonging. Add BEFORE TOMORROW on Goodreads! But what if you don’t want to wait until Oct. 31? No problem. Pre-order REMEMBER YESTERDAY, book 2 in the FORGET TOMORROW series, and register your receipt here, and you’ll receive a copy of BEFORE TOMORROW to read before anyone else! Plus, U.S. residents will also get a bookplate and bookmark! Want to learn more about FORGET TOMORROW and REMEMBER YESTERDAY? Click here. 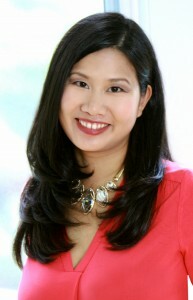 Pintip is represented by literary agent Beth Miller of Writers House. Her debut novel, FORGET TOMORROW, won the RWA RITA® for Best First Book. Her other novels include THE DARKEST LIE and the forthcoming REMEMBER YESTERDAY. She lives with her husband and children in Maryland. You can learn more about Pintip and her books at www.pintipdunn.com. I’m so excited to share the cover reveal for Remember Yesterday by Pintip Dunn with you today! 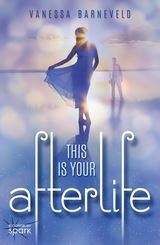 You can check out the gorgeous cover below! 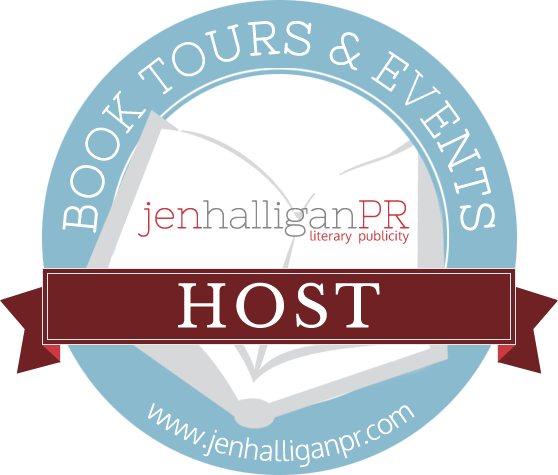 This cover reveal is brought to you by YaReads Blog Tours and YA Interrobang! The Darkest Lie Release Blitz! I’m so excited to be part of the Release Blitz for my critique partner Pintip Dunn’s THE DARKEST LIE! Check out the book’s details and teaser, and be sure to enter the giveaway below! There are 2 prizes! One winner will win a signed copy of THE DARKEST LIE (US only), and another winner will receive a $50 gift card to Amazon or Book Depository (international)! CLICK HERE TO ENTER THE RAFFLECOPTER GIVEAWAY! 2016 RITA Award Best First Book Finalists’ Giveaway! Click on the pic to enter the Rafflecopter giveaway! Today we are sharing an incredible giveaway hosted by the 2016 ‘Best First Book’ RITA Nominated Authors! They are giving away 2 $50 Amazon Gift Cards, and a copy of each of the nominated titles. There will be 3 winners total. Be sure to sign up by clicking on the graphic above or by heading to THIS RAFFLECOPTER GIVEAWAY. Check out the authors (one of whom is my brill critique partner, Pintip Dunn!) who are participating and their incredible titles. New Release and a Giveaway! DANGEROUS BOYS features five contemporary and paranormal YA novellas by five not-so-dangerous authors from down under – Sara Hantz, Maree Anderson, Robyn Grady, Ebony McKenna and me. I’ve got tearjerker of a story about a boy who has just six months to live. Read an excerpt of LIVE FAST, DIE YOUNG here. For your chance to win one of 10 Kindle e-copies of the DANGEROUS BOYS anthology, head to my Instagram page and tell me what’s on your bucket list. Two grand prize winners will also receive ARCs of Pintip Dunn‘s upcoming book, THE DARKEST LIE, which is earning rave reviews! Entries close 11:59pm EDT, June 6, 2016. More details on Instagram. I’m thrilled to take part in the Excerpt Blitz for my amazing friend and critique partner Pintip Dunn’s upcoming YA thriller, THE DARKEST LIE! Check out the book below, along with the teaser excerpt, and be sure to enter the giveaway! Not: I prefer the cherry wood casket. Or: Let me make your grandma’s travel arrangements. Or even: I know this was Mom’s favorite dress, but isn’t the neckline a little…low? One winner will receive a prize pack including the following 5 books: Forget Tomorrow by Pintip Dunn; Six Months Later by Natalie Richards; Find Me by Romily Bernard; and From Where I Watch You by Shannon Grogan; Lies I Told by Michelle Zink. Enter via this Rafflecopter giveaway. 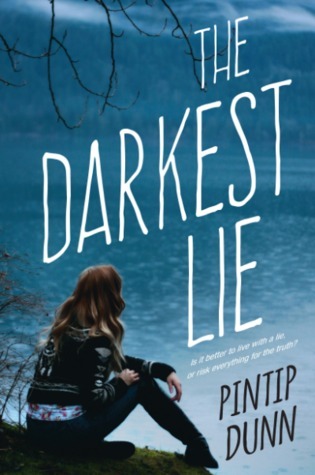 Pintip’s also offering a copy of The Darkest Lie in a GoodReads giveaway. Click below to enter!